Criminal Trial - While it is necessary that proof beyond reasonable doubt should be adduced in all criminal cases, it is not necessary that such proof should be perfect, and someone who is guilty cannot get away with impunity only because the truth may develop some infirmity when projected through human processes. The traditional dogmatic hypertechnical approach has to be replaced by a rational, realistic and genuine approach for administering justice in a criminal trial. Justice cannot be made sterile by exaggerated adherence to the rule of proof, inasmuch as the benefit of doubt must always be reasonable and not fanciful. (N.V. Ramana) (Mohan M. Shantanagoudar) (Indira Banerjee) JJ. The judgment dated 19.03.2009 passed in Criminal Appeal No. 637 and 748 of 2004 passed by the High Court of Judicature atMadras whereby the High Court convicted the accused appellants for the abduction and murder of one Santhakumar, husband of the complainant Jeevajothi (PW1), is called into question in these appeals. Accused No. 1 is the proprietor of a chain of hotels (Saravana Bhavan). Either upon the advice of an astrologer or having become besotted with PW1, Accused No.1 had evinced a keen desire to take PW1 as his third wife, though she was already married to Santhakumar (the deceased). In order to fulfil his desire, Accused No.1 used to financially help PW1, her family members and her husband. He used to talk to PW1 over the phone frequently, and also gave her costly gifts such as jewellery and silk sarees and even went to the extent of paying her medical bills. In a further bid to gain PW1’s love and affection, he frequently interfered in her personal matters. Once when she was ill, under the pretext of better treatment as advised by another doctor, Accused No. 1 forcefully shifted her to another hospital, where he advised her not to have sexual relations with her husband and made her undergo aseries of tests. The deceased Santhakumar was instructed to get himself tested for AIDS and other such diseases, which he refused outright. 3. On 01.10.2001, PW1 and her husband were abducted by Accused No.1 and his henchmen (including the appellants herein), for which a separate complaint (Ext. P3) was lodged by PW1 and a separate trial was conducted. Some of the accused therein were convicted. Separate appeals were also filed against the judgment of conviction for the incident of abduction. As they have been decided separately, we do not propose to discuss the said incident and offence in detail in these appeals. 4. Accused No.1 took the help of the other appellants in order to eliminate the husband of PW1, for securing PW1 as his third wife. Subsequent to the incident of 01.10.2001 relating to abduction, Accused No. 2 contacted PW1 and told her that he regretted the previous events and suggested to PW1 to lodge a police complaint. A few days prior to the murder, Accused No. 2 instructed PW1 to tell her husband to come alone to a certain Sai Baba temple to meet a press reporter whom Accused No.2 personally knew in order tohighlight Accused No. 1’s wrongdoings. In other words, Accused No.2 posed himself as a wellwisher of PW1 and the deceased. 5. On 18.10.2001, PW1 as well as her husband went to the Sai Baba temple as instructed by Accused No. 2. Soon after, two Ambassador cars bearing Registration Nos. TN 09 T 3224 (M.O.1) and TN 22 5202 (M.O.2), and a Tata Sumo vehicle bearing Registration No. TN 09 Q 1310 (M.O.3) came and halted behind the car in which PW1 and her husband were sitting. Accused Nos. 3 and 4, armed with knives, got out of one of the cars and forced PW1 and her husband to board the car of the accused in which Accused No.5 was sitting, and took them to Chengalpattu. At about 8.30 p.m. on the same night, a Mercedes Benz bearing Registration No. TN 10 M 7755 (M.O.4) belonging to Accused No. 1 arrived with the parents of PW1 along with Accused No.1. Thereafter, PW2, the mother of PW1, informed PW1 that Accused No.1 was in the said Benz car, and wanted PW1 to leave her husband and meet Accused No.1 in the car. As PW1 resisted, Accused Nos. 3 and 4 forcibly took PW1 to the Benz car, and she was taken to Tiruchirappalli in the said car. 6. On 19.10.2001, PW1 was taken to PW9 by Accused Nos.5 and 8 at Parappadi village, to remove the alleged influence of witchcraft (black magic) which was allegedly the cause of her being in love with Santhakumar. From there, she was taken to Veppankulam village to seek the advise of an astrologer (PW8). At the said place, an employee of Accused No.1, Janarthanam came and informed PW1 that her husband had escaped the clutches of the henchmen of Accused No.1 and his whereabouts were unknown. Subsequently, after spending the night at Hotel Ariyas at Tirunelveli, PW1 and her family, along with Accused Nos. 1, 5, 6 and 8 returned to Chennai by train. 7. After two days, Santhakumar spoke to PW1 over a phone call and stated that Accused No. 2 had told him about being given Rs. 5 lakhs by Accused No.1 to kill him, but Accused No. 2 had let him go unharmed out of sympathy, and had asked him to escape to Mumbai and contact him from there after fifteen days. However, Santhakumar returned to PW1 upon her request. Subsequently, on 21.10.2001, both of them approached Accused No.1 to seek his mercy, thus revealing that Santhakumar was still alive. Later onthe same day, when Accused No.2 told Accused No.1 a false story about how he and the other accused had killed Santhakumar and destroyed the evidence, on Accused No.1’s cue, Santhakumar and PW1 entered the room, much to the shock of Accused No.2. Disgraced and feeling betrayed, Accused No.2 started assaulting Santhakumar, and was joined by Accused Nos. 3 and 4. On 24.10.2001, they took the couple to the office of the Deputy Commissioner of Police to withdraw the complaint relating to the incident of abduction which had been lodged earlier that month, and also made them sign a few blank papers. On the same day, Accused Nos. 5 and 6 took Santhakumar, PW1 and her family members in a Tata Sumo bearing Registration No. TN 10 M 7755 belonging to Accused No. 1, again to remove the influence of black magic on PW1, after which they reached Tirunelveli. 8. On 26.10.2001, at about 6.30 a.m., Accused No. 5 came to the room in which PW1 and her family members were staying in Tirunelveli and informed them that Accused No.1 had instructed Santhakumar to be brought to him. Unwilling to send him alone, PW1 also went along with Santhakumar and Accused No.5.Accused No. 1 made PW1 and her husband get into his Tata Sumo (Registration No. TN 10 M 7755). This vehicle, being driven by Accused No. 9, with Accused Nos. 5 and 8, PW1 and Santhakumar seated within, was followed by another Tata Sumo (M.O.3). Upon reaching the Karai Illupu culvert, and upon a signal by Accused No. 5, the other vehicle stopped, and Accused Nos. 2 to 4 and 6 alighted therefrom. Accused No.1 got out and grabbed Santhakumar by the collar, dragging him out. He pushed Santhakumar down and handed him over to Accused Nos. 2 to 4 and 6 and ordered them to “finish him off”. The Tata Sumo (M.O. 3) driven by Accused No. 7 took Santhakumar along with the said accused towards Dindigul. Accused No. 1 and the other accused took PW1 back, and later brought her and her family back to Chennai. 9. While PW1 was staying at her mother’s house at Velachery, Accused Nos. 5, 8 and other henchmen of Accused No.1 kept a constant vigil over the movements of PW1 and her family. Thereafter, at the instance of Accused No.1, PW1 and her family members were taken to an astrologer by the name of Ravi (PW4), and later, she was made to undergo certain rituals, conducted byone Raghunatha Iyer, in the presence of the second wife of Accused No.1 at K.K. Nagar. Later, much to her shock, PW1 learnt that these rituals were traditionally conducted by the wife after the death of her husband. Therefore, upon growing gravely suspicious, she lodged the first information on 20.11.2001 stating that Accused No.1 and his henchmen had murdered her husband, and the same was registered as Crime No.1047 of 2001. 10. The motive put forth by the prosecution for the commission of the offence is that Accused No.1 wanted to take PW1 as his third wife despite knowing that she was already married to the deceased Santhakumar. Accused No.1 made several failed attempts with the help of the other accused to sever the relationship between PW1 and her husband. Ultimately, Accused No.1 committed the offence in question in order to eliminate the deceased so as to be able to marry PW1 without any obstruction. 11. In the meanwhile, i.e. on 31.10.2001, prior to the lodging of the FIR, one forester by name Raman and Forest Guard Murugusen (PW26 and 27 respectively) of the Kodaikanal Range discovered the dead body of a male near the TigerChola forest area. On seeing thedead body, PW27 lodged the first information, Ext. P42, at Kodaikanal Police Station, which was registered as C.R. No. 559 of 2001, recording the finding of an unidentified body and its unnatural death. The postmortem was conducted on 01.11.2001 by PW35 and thereafter, as the body remained unidentified, it was buried in the Hindu burial ground of the Kodaikanal Municipality by PW33, Anithalai, in the presence of PW32, Head Constable Sebastian. Meanwhile, the accused had surrendered and confessed to the commission of Santhakumar’s murder. Based on Accused No. 2’s confession that he and the other accused had killed the victim and thrown the dead body in the forest area of TigerChola near a curve on the road, the investigation team proceeded to that place, and it was eventually determined that the dead body found by the forest officials was that of Santhakumar. The preburial photographs of the dead body clicked by the Kodaikanal Police (M.O. 11, 12, 13, 14) as well as the apparel found on the body of the deceased (M.O. 5, 6 and 8) were identified as Santhakumar’s by PW1 and her family, as well as by some of the accused. The dead body was exhumed by PW33 and two others, and was sent for a second postmortem, which was conducted by PW38. During thecourse of investigation, the procedure of superimposition of the face of the deceased was done by PW34, Dr. Jayaprakash, after which the dead body was concluded to be that of Santhakumar. After exhumation, the body was also identified by PWs 1 and 2 through a scar mark still visible on the waist. Charges were framed under various provisions of the Indian Penal Code (hereinafter referred to as “the IPC”) including Sections 302, 364 and 201, and the trial was conducted. 12. The Trial Court, upon evaluation of the material on record, convicted the accused appellants for the offences punishable under Sections 364, 304 Part I and 201 of the IPC. 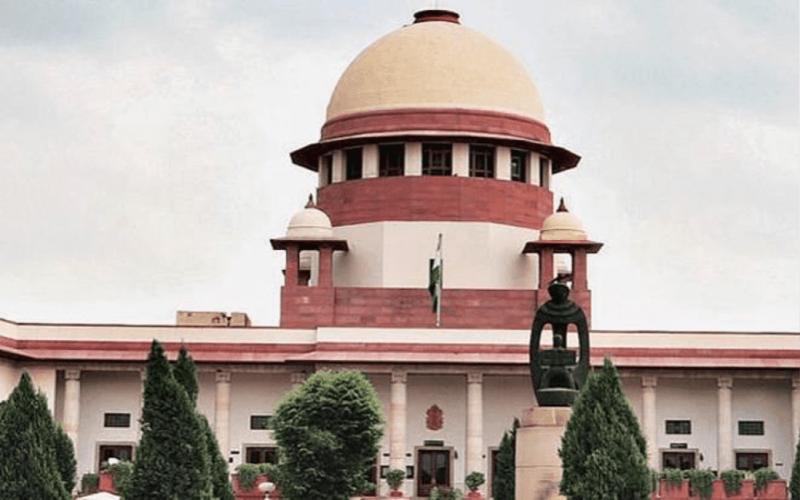 The accused appellants as well as the State appealed before the High Court, wherein the High Court while confirming the finding of guilt of the accused, modified the conviction for the offence punishable under Section 304 Part I to Section 302 of the IPC. The Trial Court as well as the High Court concluded that the evidence of the prosecution witnesses, particularly that of PWs 1 and 2, along with the other supporting evidence, was believable and trustworthy; the motive for commission of the offence had been proved; the last seencircumstance had been proved by the prosecution beyond reasonable doubt; and that the recovery of the dead body based on the statement of Daniel (Accused No.2) had also been proved. Both the Courts tested the evidence of PW1 on the touchstone of consistency with the tenor of the case. The Trial Court, which had the opportunity to observe the demeanor of PWs 1 and 2, held that the discrepancies and contradictions, if any, were minor in nature, and did not affect the credibility and consistency of the evidence of PWs 1 and 2. 13. The Courts, relying on the evidence of the doctors PWs 35 and 38, who conducted the two postmortem examinations, concluded that the death was homicidal in nature, as the cause of death was found to be asphyxia due to throttling. 14. Shri Sushil Kumar, learned senior counsel for the appellants took us through the entire material on record and submitted that the circumstances relied upon by the prosecution have not been proved in accordance with law. He argued that the High Court and the Trial Court have merely proceeded on assumptions and conjectures, and the motive for commission of the offence has notbeen proved, in addition to the fact that the evidence relating to the recovery of the dead body is shaky. He laid more stress on the argument that the first information in the present case (Ext. P1) registered on 20.11.2001 could not have been registered at all, inasmuch as there cannot be a second FIR relating to the same incident. According to him, the incident as found in the first information report dated 20.11.2001 is merely a continuation of the earlier offence of abduction which had taken place on 01.10.2001, which had generated proceedings pursuant to the first information lodged on 12.10.2001. Thus, according to him, the FIR in the present case would only assume the character of a statement recorded under Section 161 of the Code of Criminal Procedure (hereinafter “the Cr.P.C”), and the proceedings in this matter would stand vitiated. He further submitted that the first information of the abduction case dated 12.10.2001 had been marked and relied upon in the present matter as Ext. P3 and its use as a substantive piece of evidence was illegal. It was also argued that the evidence relating to the last seen circumstance as deposed by PW1 was not put to the accused while examining them under Section 313 of the Cr.P.C, and therefore, such portion of evidence could not be made use of bythe prosecution against the accused. Learned counsel also submitted that the identification of the body merely on the basis of a superimposition test was improper, in the absence of a DNA test. Per contra, Shri Balaji Srinivasan, the learned Additional Advocate General appearing on behalf of the State, argued in support of the judgments of the Courts below. 15. We do not find any force in the arguments of the learned Senior Advocate for the appellants that the incident of murder in the case in hand is merely a continuation of an earlier offence, i.e. Crime No. 1030 of 2001 relating to the abduction of PW1 and the deceased Santhakumar, which occurred on 01.10.2001. Undoubtedly, factors such as proximity of time or place, unity of purpose and design and continuity of action, in respect of a series of acts, have to be considered in order to determine whether such acts form part of the same transaction or not (See State of A.P. v. Cheemalapati Ganeswara Rao, (1964) 3 SCR 297). A quick overview of the sequence of unfolding of the incident of murder in question and the prior incident of abduction would showthat the above factors cannot be said to be satisfied in this case. Even when the two FIRs Ext. P1 and P3 are read together, it becomes clear that the first incident of abduction began and ended on 01.10.2001. The crime of abduction commenced when the victims (PW1 and the deceased) were forced into captivity on the said date, and was completed on the same day immediately after the victims were released. In respect of the said incident, the first information came to be lodged on 12.10.2001 by PW1. During the investigation of the said case, on 24.10.2001, the accused brought the deceased, PW1 and her family members to Tirunelveli. The present crime came to be committed on 26.10.2001, whereby PW1 and her husband, Santhakumar were taken away in a car, and on the direction of Accused No.1, Accused Nos. 2 to 4, 6 and 7 forcibly took away Santhakumar by separating him from his wife, committed his murder and threw away his body at the TigerChola forest area within the jurisdiction of Kodaikanal Police Station. Evidently, the time and place of occurrence of the two incidents are different. Even the number of accused involved in the incidents is different. No continuity of action can be gathered fromthe sequence of events either. It may be noted that the motive for commission of both the offences may be the same, inasmuch as they were committed to enable Accused No. 1 to marry PW1, but merely because of their common motive, the second offence cannot be said to be in continuation of the first incident, in light of there being distinct intentions behind the two offences. The first offence was committed with the intention to abduct the deceased and PW1, the purpose for which was merely to threaten and pressurize them. In contrast, the intention behind the second offence was to murder the deceased with a view to permanently get rid of him. Therefore, it is evident that unity of purpose and design between the two offences is also absent. Thus, it is amply clear that the incident of murder is entirely separate and distinct from the earlier incident of abduction. 16. Undisputedly, the first information pertaining to the incident of abduction, after passing through various stages and various police officers, ultimately came to be registered as an FIR on 09.11.2001 in the jurisdictional Police Station. Nevertheless, the fact remains that the offence of abduction was completed on01.10.2001 itself and the first information came to be lodged on 12.10.2001. “19. The scheme of CrPC is that an officer in charge of a police station has to commence investigation as provided in Section 156 or 157 CrPC on the basis of entry of the first information report, on coming to know of the commission of a cognizable offence. On completion of investigation and on the basis of the evidence collected, he has to form an opinion under Section 169 or 170 CrPC, as the case may be, and forward his report to the Magistrate concerned under Section 173(2) CrPC. However, even after filing such a report, if he comes into possession of further information or material, he need not register a fresh FIR; he is empowered to make further investigation, normally with the leave of the court, and where during further investigationhe collects further evidence, oral or documentary, he is obliged to forward the same with one or more further reports; this is the import of subsection (8) of Section 173 CrPC. 18. However, the aforementioned principles of law may not be applicable to the facts of the incident on hand, as the crimes underlying the two FIRs are distinct and different. The offence punishable under Section 302, in the present case, was committed during the course of investigation of the case in the first FIR, i.e.relating to the crime of abduction. We are of the considered opinion that the allegations and offences under this present FIR relating to the murder of the deceased are substantially distinct from the information lodged in Crime No. 1030 of 2001 relating to abduction. We are unable to accept the argument of Shri Sushil Kumar that at the most, further investigation could have been made by the police in the earlier crime registered relating to abduction since the murder has allegedly taken place during the subsistence of investigation of the crime of abduction. As mentioned supra, the facts and circumstances of the matter clearly indicate that the offence of abduction committed by the appellants and the offence of murder were two different and distinct offences, and therefore, there is no question of further investigation to be made in the crime of abduction by the investigating agency relating to the offence of murder which was committed during the subsistence of the investigation relating to abduction. Further investigation, as envisaged under Subsection 8 of Section 173 of the Cr.P.C, connotes investigation of the case in continuation of an earlier investigation with respect to which the chargesheet has already been filed. In case a fresh offence is committed during the course ofthe earlier investigation, which is distinct from the offence being investigated, such fresh offence cannot be investigated as part of the pending case, and should instead be investigated afresh. It is pertinent to note that the facts on hand are similar to the facts in the case of Awadesh Kumar Jha v. State of Bihar, (2016) 3 SCC 8, wherein this Court held that the case arising out of a second FIR, if relating to a separate transaction, cannot be investigated along with a previous FIR under the clause ‘further investigation’ as contemplated under Subsection 8 to Section 173 of the Cr.P.C. “20. Thus, in view of the above, the law on the subject emerges to the effect that an FIR under Section 154 CrPC is a very important document. It is the first information of a cognizable offence recorded by the officer in charge of the police station. It sets the machinery of criminal law in motion and marks the commencement of the investigation which ends with the formation of an opinion under Section 169 or 170 CrPC, as the case may be, and forwarding of a police report under Section 173 CrPC. Thus, it is quite possible that more than one piece of information be given to the police officer in charge ofthe police station in respect of the same incident involving one or more than one cognizable offences. In such a case, he need not enter each piece of information in the diary. All other information given orally or in writing after the commencement of the investigation into the facts mentioned in the first information report will be statements falling under Section 162 CrPC. In light of the aforementioned settled legal proposition, we have no hesitation in holding that the separate first information lodged in this case is just, legal and proper. 21. Furthermore, it is no doubt true that the first information relating to the crime of abduction dated 12.10.2001 was marked inthe case on hand relating to murder. However, we cannot accept the contention that the same has been used as a substantive piece of evidence in this matter. This is because the said document was practically used only as supportive material to show the motive for the accused to commit the crime. 22. Coming to the merits of the matter, it is pertinent to note that the prosecution mainly relied upon three circumstances to prove the guilt of the accused, i.e. motive, the last seen circumstance and the recovery of the dead body at the instance of the accused. An additional link in the chain of circumstances is the nonexplanation by the accused about the last seen circumstance in their statement recorded under Section 313 of the Cr.P.C. Clearly, there is no direct evidence in this matter and the whole case rests on circumstantial evidence. Before we undertake a consideration of the evidence supporting such circumstances, we would like to note that the law relating to circumstantial evidence is well settled. The Judge while deciding matters resting on circumstantial evidence should always tread cautiously so as to not allow conjectures or suspicion,however strong, to take the place of proof. If the alleged circumstances are conclusively proved before the Court by leading cogent and reliable evidence, the Court need not look any further before affirming the guilt of the accused. Moreover, human agency may be faulty in expressing the picturisation of the actual incident, but circumstances cannot fail or be ignored. As aptly put in this oftquoted phrase: “Men may lie, but circumstances do not”. 23. In order to satisfy our conscience, we have independently considered the evidence on record in its entirety in view of the aforementioned principles. However, as we do not wish to burden this judgment by reiterating the depositions of all the witnesses on record in detail, we deem it fit to discuss only the important aspects highlighted by some of the prosecution witnesses in their testimony. 24. It would be appropriate to begin with the testimony of PW1, the wife of the deceased. She has deposed in detail as to how Accused No.1 wanted to marry her and how he often tried to lure her through undue favours. She has deposed that as Accused No.1 wished to take her as his third wife, he wanted to separate her from her husband. Whenever PW1 or her family were in need of money, Accused No.1 would generously help them. He even used to talk to PW1 over the phone regularly, and used to interfere in her personal matters unwarrantedly. She has narrated elaborately about theprior incident of abduction as well. As far as the matter on hand is concerned, she has deposed that on 24.10.2001, PW1, her parents and the deceased were taken by Accused No.1 and the other accused to different places and they ultimately reached Tirunelveli. In the early hours of 26.10.2001, Accused No.5 asked the deceased to meet Accused No.1. PW1, being reluctant to send the deceased alone with Accused No. 5, went along with her husband to meet Accused No. 1, who made PW1 and the deceased get into the vehicle bearing Registration No. TN 10 M 7755 (driven by Accused No. 9) along with himself and Accused Nos. 5 and 8. On the way, upon the signal of Accused No. 5, Accused Nos. 2, 4 and 6 got down from a vehicle (M.O. 3) which had been following behind, and took away the deceased. Accused No. 1 further instructed these accused to “finish him off”, definitely intending to instruct them to kill the deceased. Thereafter, PW1 was forcibly taken back by Accused No.1 and later was made to undergo different rituals, which made her suspect the murder of her husband and led her to lodge a complaint regarding the same. PW1 has also deposed about the identification of the clothes worn by the deceased at the time of leaving her company, on which basis she identified the clothes on the discovered dead body to be those of Santhakumar’s. She also identified his personal belongings that were recovered from Accused No.6. She has deposed about the exhumation of the dead body and her identification of the dead body based on the scar on the left side of her husband’s waist. She has meticulously deposed about the role of each of the appellants in the crime. In the crossexamination, she has also explained the delay in lodging the first information by deposing that she could not file the complaint before 20.11.2001 though her husband was abducted on 26.10.2001 because she was under the constant surveillance of Accused No. 1 and his henchmen and could only free herself after 06.11.2011. Also, importantly, in the first incident (being the incident of abduction, i.e. Crime No. 1030 of 2001), her husband had been spared by Accused No. 1, and on a subsequent occasion also, he had been spared by Accused No. 2. Thus, she was hopeful that her husband would escape on this occasion as well. She also admitted in the crossexamination that her motherhad informed her that if she married Accused No.1, he would set up a business for their family and also pay them Rs. 10 Lakhs. Though PW1 was crossexamined at length, the defence could not discredit her evidence on material particulars. Minor variations pointed out by the defence, as such neither affect the prosecution version nor PW1’s evidence in its entirety. 25. In effect, PW1 has deposed about the aspect of motive, the last seen circumstance as well as the identification of the personal belongings of the deceased and his dead body. She is the witness who saw the deceased in the company of the accused for the last time before his death. While the date on which she saw the deceased with the accused was 26.10.2001, the dead body was found on 31.10.2001, i.e. within five days of the incident, and as per the postmortem report given by PW35, Dr. A. Sivakumar, the victim appeared to have died 35 days prior to the examination, which was conducted on 02.11.2001. This fact is well corroborated by the examinationinchief of PW35 as well. 26. The evidence of PW1 is fully supported by the evidence of PW2, the mother of PW1. PW2 has deposed about the conduct ofAccused No.1 towards her family members, as well as the dishonourable motive of Accused No.1 to marry PW1 and make her his third wife. She has fully corroborated the evidence of PW1 regarding the events of the day of the incident as well as the preceding days. She has testified to the fact that Accused No.5 came to their room in Tirunelveli and asked the deceased to go along with Accused No.1. However, PW1 also went along with them, but she returned to the room alone, crying, and revealed that the accused had beaten the deceased and taken him away. She has also deposed about Accused No.1 taking PW1 to an astrologer, and for removing the influence of black magic, etc. ; and that she was present during the exhumation of the body and had identified the dead body of her soninlaw by the scar mark on his waist. She had also identified the belongings of the deceased. In her crossexamination, she denied the suggestion made to her by the defence that PW1 had falsely lodged the complaint to extract money from Accused No.1. She has also explained the delay in filing the FIR, stating that her house was being monitored by Accused No.1 and his aides and that she was hoping that the deceased would returnsafely, as he had previously. The evidence of PW2 fully corroborates the evidence of PW1. It is evident from the above discussion that the evidence of PWs 1 and 2 with regard to the motive for commission of the offence, the last seen circumstance and recovery as well as the identification of the dead body is consistent with the case of the prosecution. We do not find any artificiality in their evidence. On the other hand, their evidence remains natural, consistent, cogent and probable, and thus we do not find any reason to disagree with the findings arrived at in that regard by the Trial Court as well as by the High Court. 27. The testimony of PW7, the Village Administrative Officer working in the office of the Tehsildar, is also relevant and significant. As per the requisition of the Assistant Commissioner of Police, PW7 went to the Chennai Kotturpuram Police Station on 30.11.2001. In his presence, Accused No.2 confessed to the Inspector of Police, PW42, that if taken to Kodaikanal, he would show the spot at TigerChola where the dead body of Santhakumar was thrown. Accordingly, Accused No.2 was taken to the said placeon 01.12.2001 and he pointed out the place of disposal of the body, and also identified the dead body of the deceased from the photographs available with the police. PW7 further deposed that PWs 1 and 2, who came the next day, i.e., on 02.12.2001, also identified the dead body shown in the photographs, and the body was exhumed after 2 days, after completing the formalities. He also deposed that on 13.12.2001, Accused No.6 confessed that if taken to his colony at Saligramam Road, he would identify and produce the wallet (M.O.7) and gold chain (M.O.9) of the deceased, and the same were recovered at the instance of Accused No. 6. PW7 has also deposed about the recovery of one lungi (M.O. 15) from the Tata Sumo in which the deceased was last seen. Nothing material worth considering in favour of the defence has been extracted from the crossexamination of PW7. It was argued by Shri Sushil Kumar that the confession made by Accused No.2 before PW7 was not admissible in evidence. There cannot be any dispute that a confession made by the accused in police custody is an inadmissible confession. The confession herein cannot even be called an extrajudicial confession because of thepresence of the police. Be that as it may, if a confession is made by the accused before the police and a portion of the confession leads to the recovery of any incriminating material, such portion alone is admissible under Section 27 of the Indian Evidence Act. Since only such portion of the confession relating to the recovery of certain material objects was admitted in evidence and relied upon, such reliance was in accordance with law. 28. The testimony of PWs 26, 27, 29, 32 and 33 pertains to the vital aspect of the recovery of the body of the deceased. PW26 Raman, the forester, has deposed that while he was working with Forest Guard Murugesan (PW27) on 31.10.2001, they found a dead body lying at TigerChola in an abyss in the forest. The body had a bluecoloured checked fullsleeved shirt and sandalcoloured pant with a blackcoloured belt. After seeing the dead body, PW26 and PW27 went to the Kodaikanal Police Station and lodged the first information (Ext. P42) with regard to the discovery of the unidentified dead body. Thereafter, the police came to the spot along with a camera and took photographs of the dead body. PW27has reaffirmed what has been stated by PW26 and has deposed that the dead body was taken to the hospital by the police for autopsy. PW29, the SubInspector of Police of Kodaikanal Police Station, has deposed that on 31.10.2001, PWs 26 and 27 lodged the complaint which came to be registered on the same day. Thereafter, PW29 along with other personnel went to the concerned spot at TigerChola, and saw the dead body of a male aged about 30 years wearing the aforementioned clothes. He took the photographs of the dead body from all angles and prepared the observation mahazar (Ext. P45) and panchnama of the dead body (Ext. P46). Thereafter, the dead body was sent to the government hospital for postmortem examination. Since the body was unidentified and no relatives could be found, he asked Head Constable Sebastian (PW32) to bury the body in the municipality burial ground. He also told PW32 to mark the place where the dead body was buried. In the crossexamination, he has denied the suggestion that the pictures mentioned were merely photographs of the original photographs taken on the spot of discovery. Further, he has deposed that he conducted an inquest of the dead body and prepared the sameunder the light of a Petromax. Although he saw a scar on the dead body, he did not mention the same in the observation mahazar. The colour of the shirt was seen as brown in the light of the Petromax, but on rechecking it in morning, he realized that it was actually blue, and thus struck it out and corrected it accordingly in the mahazar. PW32, the Head Constable, has reiterated what has been deposed by PW29. He was present during the burial of the dead body by PW33 Anithalai, and instructed him to place an identifier on the spot of burial. PW32 exhumed the dead body in the presence of the Tehsildar, upon whose direction, he kept the dead body at a place that was elevated. He also deposed that PW1, Jeevajothi, identified the dead body to be that of her husband and had left the place crying. PW32’s version as to the burial was corroborated by PW33, who has deposed that he buried the body and put the identification mark of a blue metal stone near the head to identify the place. 29. We may also briefly discuss the testimony of PWs 35 and 38 (the doctors who conducted the postmortems of the deceased).PW35 conducted the first postmortem examination. He has stated in his examinationinchief that the hyoid bone in the neck was found broken and the brain was found decomposed. He opined that the person could have died 3 to 5 days prior to the postmortem examination. The hyoid bone in the neck could have been broken due to strangulation of the said person by using materials like a lungi. PW38, who conducted the second postmortem examination upon exhumation of the dead body, was also present at the spot of exhumation. PW38 deposed that while the body was being exhumed, he had noticed that a wooden stick had been put up along with a small stone on the southern part of the place. He also deposed that there was an old injury scar on the right lower abdomen of the dead body, the hyoid bone was broken, and that the fracture found in the hyoid bone was antemortem, which was confirmed through a Bensidine test. He opined that the cause of death appeared to be compression of the neck. 30. It is also relevant to note the testimony of PW36, the handwriting expert. During the course of investigation, the records of the various hotels in which the accused had stayed along withthe deceased, PW1 and her family were collected. PW36 compared the handwritings in the hotel records with the handwritings of the accused and opined the former to belong to Accused Nos. 4, 5, 6 and 8. This supports the conclusion that the accused in fact took PW1 and her family members to various places as deposed by them. 31. Shri Sushil Kumar also argued that a DNA test should have been conducted in order to identify the dead body, and identification merely on the basis of a superimposition test, which is not a tangible piece of evidence, may not be proper. One cannot lose sight of the fact that DNA evidence is also in the nature of opinion evidence as envisaged in Section 45 of the Indian Evidence Act. Undoubtedly, an expert giving evidence before the Court plays a crucial role, especially since the entire purpose and object of opinion evidence is to aid the Court in forming its opinion on questions concerning foreign law, science, art, etc., on which the Court might not have the technical expertise to form an opinion on its own. In criminal cases, such questions may pertain to aspects such as ballistics, fingerprint matching, handwritingcomparison, and even DNA testing or superimposition techniques, as seen in the instant case. Undoubtedly, it is the duty of an expert witness to assist the Court effectively by furnishing it with the relevant report based on his expertise along with his reasons, so that the Court may form its independent judgment by assessing such materials and reasons furnished by the expert for coming to an appropriate conclusion. Bethat as it may, it cannot be forgotten that opinion evidence is advisory in nature, and the Court is not bound by the evidence of the experts. (See The State (Delhi Adminstration) v. Pali Ram, (1979) 2 SCC 158; State of H.P. v. Jai Lal & Ors., (1999) 7 SCC 280; Baso Prasad & Ors. v. State of Bihar, (2006) 13 SCC 65; Ramesh Chandra Agrawal v. Regency Hospital Ltd. & Ors. (supra); Malay Kumar Ganguly v. Dr. Sukumar Mukherjee & Ors., (2010) 2 SCC (Cri) 299). 33. Like all other opinion evidence, the probative value accorded to DNA evidence also varies from case to case, depending on facts and circumstances and the weight accorded to other evidence on record, whether contrary or corroborative. This is all the more important to remember, given that even though the accuracy of DNA evidence may be increasing with the advancement of science and technology with every passing day, thereby making it more and more reliable, we have not yet reached a juncture where it may be said to be infallible. Thus, it cannot be said that the absence of DNA evidence would lead to an adverse inference against a party, especially in thepresence of other cogent and reliable evidence on record in favour of such party. 34. This leads us to the question of the propriety of relying upon the superimposition test conducted in the instant case for identifying the deceased. As noted supra, the learned counsel for the appellants has argued that evidence pertaining to the use of the superimposition technique is not a tangible piece of evidence. We find ourselves unable to agree with this view. There cannot be any dispute that evidence on superimposition is also based on experts’ opinion. We would like to note that the use of the superimposition technique in Indian investigations for identification purposes is not a new phenomenon. Notably, it has been employed in the investigations pertaining to the Nithari murders, the Russian murder incident in Goa in 2008, and even before that in the Morni Hill murder case and the Paharganj bomb blast case as far back as in 1996, and the Udhampur murder case in 2005 (See Modi, A Textbook of Medical Jurisprudence and Toxicology, 26th edn., 2018, pp. 267271). This Court itself has placed reliance on identification of the deceased through superimposition on several occasions (seeShankar & Ors. v. State of Tamil Nadu, (1994) 4 SCC 478; Swamy Shraddananda v. State of Karnataka, (2007) 12 SCC 288; Inspector of Police, Tamil Nadu v. John David, (2011) 5 SCC 509; Mahesh Dhanaji Shinde v. State of Maharashtra, (2014) 4 SCC 292), clearly indicating that it is an acceptable piece of opinion evidence. 35. It is relevant to note that all of the decisions of this Court cited in the above paragraph were based on circumstantial evidence, involving aspects such as the last seen circumstance, motive, recovery of personal belongings of the deceased, and so on, and therefore in none of the cases was the superimposition technique the sole incriminating factor relied upon to reach a conclusion of guilt of the accused. Indeed, in Mahesh Dhanaji Shinde (supra), the Court also had the advantage of referring to a DNA test, and in John David (supra), of referring to a DNA test as well as dental examination of the deceased, to determine the identity of the victim. This is in line with the settled practice of the Courts, which generally do not rely upon opinion evidence as the sole incriminating circumstance, given its fallibility. This is particularlytrue for the superimposition technique, which cannot be regarded as infallible. 36. In view of the above discussion, we hold that the High Court was justified in observing that a superimposition test cannot be taken as a conclusive one for the identification of a dead body, because by itself it may not conclusively establish identification. However, the High Court rightly accepted the expert testimony on this aspect since in the instant case, the superimposition test was merely one piece of evidence relied upon by the prosecution to corroborate the evidence of PWs 1 and 2 in order to strengthen its case. 37. Moreover, it is evident from the testimony of PW34, Dr. Jayaprakash, who conducted the superimposition test, that the test was conducted by using three different methods, i.e. video superimposition, visual observation, and dental trait superimposition, and in spite of challenges to the reliability of such evidence, the Courts, after carefully assessing the methodology adopted, accepted the finding reached by PW34 regarding theidentification of the body, and we see no error in such conclusion reached by the Courts. 38. Therefore, we are of the opinion that the scientific evidence of PW34 was rightly believed by the Trial Court as well as by the High Court, and strengthens the evidence of PWs 1 and 2 regarding the identification of the body. Though a DNA test would have helped the Courts immensely in determining the reliability of the identification of the body of the deceased, in the presence of other reliable evidence on record in favour of the prosecution version on this aspect, we reject the contention that the nonconducting of a DNA test and the reliance on evidence regarding identification through superimposition is improper. This is all the more true since no material is forthcoming to the effect that the parents of the deceased were alive during the relevant period, so as to conduct comparative DNA tests. 39. It is noteworthy to emphasise that based on the confession of Accused No.6, recoveries of a wallet containing a photograph of PW1, gold chain etc. were effected from his house, which, asmentioned supra, also stand positively identified by PW1 and her family as belonging to the deceased. 40. From the evidence of the witnesses discussed supra, it is amply clear that the dead body recovered from TigerChola was identified by PW1 and her family members as Santhakumar’s, and the same body was exhumed from the burial grounds. It is evident from the depositions that the recovery of the dead body was made from the TigerChola forest area, which is the same place to which Accused No. 2 led the investigation team based on his confession about disposal of the dead body. It is relevant to note at this juncture that merely because the actual recovery of the body happened before the accused lead the police to the scene, it does not, in the facts and circumstances of this case, negate the validity of the recovery based on a confession, in terms of Section 27 of the Evidence Act. In our considered view, the recovery of the body of the deceased at the instance of Accused No. 2 and the identification of the body as that of Santhakumar by PW1, her family as well as by the accused, on the basis of photographs, the clothes andbelongings of the deceased, and his scar, stand proved beyond all reasonable doubt. 41. As mentioned supra, the evidence of PWs 1 and 2 proves the circumstance relating to the last seen evidence beyond reasonable doubt, apart from other circumstances. Both of them in their evidence (especially PW1), as mentioned supra, have consistently and cogently deposed that the deceased was last seen along with the accused, who took the deceased away upon the orders of Accused No. 1. No explanation, much less any plausible explanation has come from the accused in their statements under Section 313 of the Cr.P.C rebutting the strong evidence against them. Though the burden had shifted onto the accused to explain the said circumstance as to when they left the company of the deceased, no explanation was adduced in that regard by the accused herein. Hence, an adverse inference has to be drawn against the accused. It may be noted that such nonexplanation by the accused provides an additional link in the chain of circumstances. Furthermore, although it was argued by Shri Sushil Kumar that the evidence relating to the last seen circumstance as deposed by PW1 was not put to the accused while recording their statement under Section 313, such an argument cannot be accepted, since Question No. 22 and Question No. 30 specifically relate to the evidence of the last seen circumstance, and were put to Accused No.1. Same is the case with the other appellants. A perusal of the statements of the accused recorded under Section 313 also reveals that the relevant questions pertaining to taking Santhakumar along with PW1 in the car on 26.10.2001, detection of the decomposed dead body and the postmortem thereof were all put to the accused so as to fully enable them to explain all the incriminating circumstances appearing against them in the evidence adduced by the prosecution. It is needless to observe that it has been established through a catena of judgments of this Court that the doctrine of last seen, if proved, shifts the burden of proof onto the accused, placing on him the onus to explain how the incident occurred and what happened to the victim who was last seen with him. Failure on part of the accused to furnish any explanation in this regard, as in the case in hand, or furnishing false explanationwould give rise to a strong presumption against him, and in favour of his guilt, and would provide an additional link in the chain of circumstances. (See Rohtash Kumar v. State of Haryana, (2013) 14 SCC 434; Trimukh Maroti Kirkan v. State of Maharashtra, (2006) 10 SCC 681). 42. It is also relevant to note that the bill book and cash book of a petrol pump at Palani (Ext. P32), where the Tata Sumo bearing Registration No. TN 09 Q 1310 (M.O.3) was refuelled, were also seized. This is very crucial evidence to show that the Tata Sumo in which the accused were travelling along with the deceased had in fact gone towards Kodaikanal, as is evident from the fact that fuel was filled from a petrol pump enroute to Kodaikanal at Palani on the relevant date. 43. In our considered opinion, the overwhelming, consistent, cogent and reliable testimonies of PWs 1 and 2, along with the aforementioned corroborative evidence, conclusively prove the prosecution case. We reiterate that PWs 1 and 2 were steadfast in their testimony about the motive, the last seen circumstance, recovery of the dead body based on the confession of Accused No.2,and about the identification of the dead body. We do not find any embellishment or exaggeration in the evidence of these witnesses. Moreover, the evidence of the other prosecution witnesses (especially PWs 7, 26, 27, 29, 32 and 33) is homogeneous, consistent and reliable, and corroborates the testimony of PWs 1 and 2, which leads us to conclude that the chain of circumstances is complete and points solely at the guilt of the accused. In our considered opinion, the prosecution has proved the complicity of all the appellants in murdering Santhakumar by strangulating him and thereafter throwing the dead body at TigerChola. It is worth recalling that while it is necessary that proof beyond reasonable doubt should be adduced in all criminal cases, it is not necessary that such proof should be perfect, and someone who is guilty cannot get away with impunity only because the truth may develop some infirmity when projected through human processes. The traditional dogmatic hypertechnical approach has to be replaced by a rational, realistic and genuine approach for administering justice in a criminal trial. Justice cannot be made sterile by exaggerated adherence to the rule of proof, inasmuch as the benefit of doubtmust always be reasonable and not fanciful. (See Inder Singh v. State (Delhi Administration), (1978) 4 SCC 161; State of H.P. v. Lekh Raj & Anr., (2000) 1 SCC 247; Takhaji Hiraji v. Thakore Kubersing Chamansing & Ors., (2001) 6 SCC 145; Chaman & Anr. v. State of Uttarakhand, (2016) 12 SCC 76). 44. Having regard to the entire material on record and the totality of the facts and circumstances, we find that the evidence on record fully proves the case of the prosecution and that the Trial Court as well as the High Court evaluated the material on record in its proper prospective while coming to their conclusion. Thus, the judgment of the Trial Court as modified by the High Court need not be interfered with. Hence these appeals fail and stand dismissed.